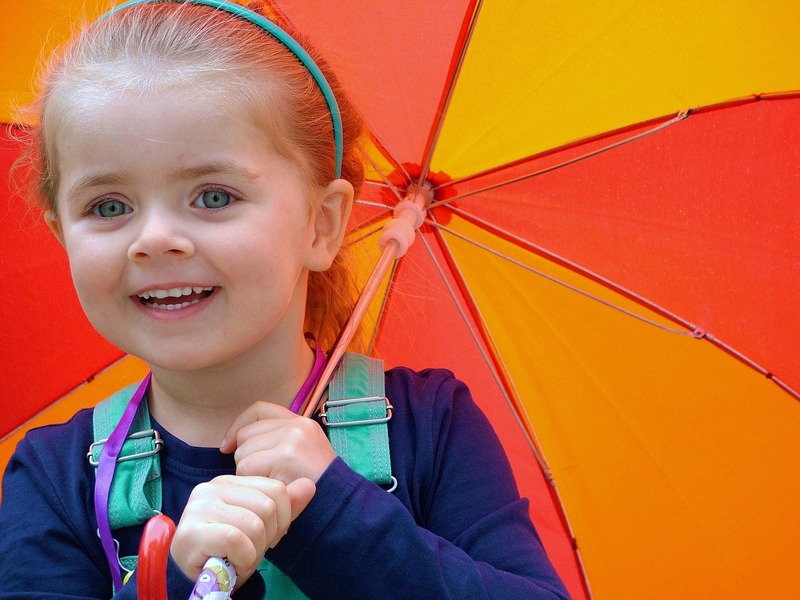 The “wet”coast winter is upon us, and that means rainy days with active kids. The cost of indoor excursions to local destinations can really start to add up, so here’s a roundup of some favourite frugal (or free) ways to fill your soggy afternoons. Hike through Pacific Spirit Park on the UBC endowment lands, and stay dry under the canopy of this beautiful temperate rainforest. Hit your local pool and swim away the rainy day. Family rates start at only $2.95/person at all City of Vancouver pools. Explore ArtStarts FREE arts series. Head downtown to one of the ArtStarts Gallery’s weekly hands-on workshops or performances. Stroll through the Bloedel Floral Conservatory in Queen Elizabeth Park, and be transported to a tropical rainforest full of exotic plants, birds, and fish. Preschoolers are free and rates for kids start at $3.25. 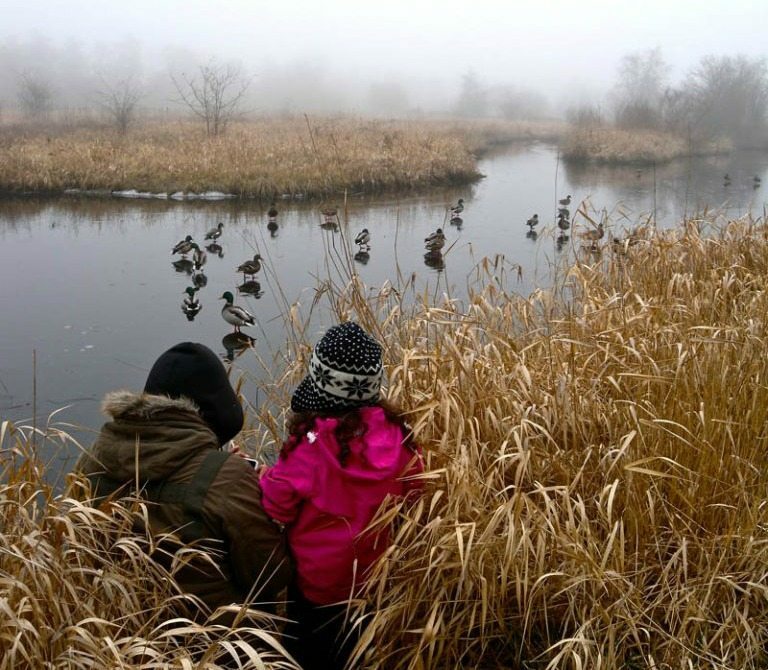 Don a Muddy Buddy and feed the birds at the George C Reifel Bird Sanctuary on Westham Island. Rainy days are perfect to get up-close & personal with the waddling fowl that call the sanctuary home. Don’t forget a thermos of hot chocolate for the warming hut. Rates start at $3/child and $5/adult. Get baking and enjoy the fruits of your labour. Check out Cookie and Kate for easy, naturally sweetened recipes with lots of good stuff to tempt even the pickiest eater. Bring the outdoors in your home with a nature-inspired craft like a seed mandala or nature selfie. Check out these great ideas and more at Room to Play. Go camping… in your living room! This is a fav at our house as we pitch the pup tent, pull out the sleeping bags and have a cozy afternoon of movies & popcorn. 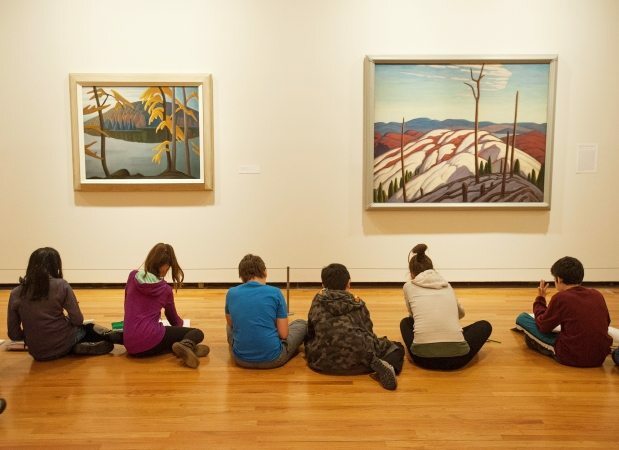 Get cultured at the Vancouver Art Gallery with their Family Programs every Sunday. Kids aged 12 and under are free from 12-4 and family friendly programming is offered each week. Browse your local bookstore. Teacher-recommended World Kids Books has locations on Broadway and the North Shore, or try Kids Books Broadway for multi-lingual books downtown. Amazing indoor playgrounds for kids in Vancouver! Hang out at the Kids Only Market on Granville Island. Prowl the great shops, grab a snack or drop your kids at The Adventure Zone for some active play. At $9.99/child, this one barely makes the budget! In New Westminster? Pop into the Fraser River Discovery Centre. Admission is by donation and there are tons of fun activities and interactive exhibits for the little ones to discover. Head to Vanier Park for Winter Wander and explore five museums/cultural venues including the MOV, H.R. MacMillan Space Centre and The Maritime Museum for $5 (free for under 5s). Takes place on the first Saturday of February annually (Feb 3, 2018!). Love this list! Thanks Elizabeth!